See intriguing animals such as kangaroos, koalas, and penguins plus many species of birds and reptiles. Enjoy dinner in the Outback and see more stars than you thought possible. Observe an incredible array of sea life as you tour the Great Barrier Reef in a glass bottomed boat. Learn about the Australian Aboriginals and visit one of their most sacred and beautiful natural sights—the giant Uluru rock formation. Visit world famous sites in the cities of Melbourne, Cairns, and Sydney. You won’t be disappointed by this action-packed trip of a lifetime! Optional tour extension to New Zealand, February 11-14, 2020. Arrive in Melbourne, one of Australia’s biggest cities and home to many cultural institutions, to begin your introduction to Oceania. Meet the rest of your fellow travellers for an afternoon tour of Melbourne, then relax and settle into your hotel. Depart Melbourne for a day of sightseeing along the spectacular Great Ocean Road. Admire the volcanic western plains of Victoria, the picturesque Geelong waterfront, and the cool temperate rainforests of the Otway Ranges National Park as you learn about the history of this landscape. Refresh yourself with lunch in a Port Campbell café, then continue to Shipwreck Coast. Be amazed by the incredible 12 Apostles rock formations and visit the shipwreck site of the Loch Ard, including the beach cave where survivors of the wreck sheltered. This morning, take advantage of free time to shop for souvenirs, explore Melbourne on your own, or relax at your hotel. Then meet up for a special lunch aboard the Colonial Tramcar restaurant to experience Melbourne in a whole new way. This afternoon, encounter cuddly-looking koalas up close from elevated boardwalks in the Koala Conservation Centre, and stroll through bushland to observe koalas in their natural habitat. On Phillip Island, witness the magnificent procession of the world’s smallest penguins returning to their sand dune burrows after a day’s fishing. Bid farewell to Melbourne as you take a short flight to Alice Springs, the country’s best-known outback town which was originally a telegraph station. On a tour of this lively town, visit the base of the Royal Flying Doctor Service and the School of the Air, which provide medical care and education to people in remote areas of Central Australia. Admire panoramic views from Anzac Hill, including vistas of the West MacDonnell Ranges, one of the oldest mountain ranges in the world. Tonight, enjoy an Original Bush BBQ dinner and entertainment. Depart this morning to travel to the magnificent rock formation called Uluru (formerly Ayers Rock), a site sacred to the Aboriginal people of the area. En route you’ll have the option to ride a camel at a local camel farm. Discover the incredible Kata Tjuta (the Olgas) on a walking tour through the Olga Gorge. Tonight, experience the internationally renowned Sounds of Silence dinner as you dine under the stars and are enveloped by the serenity of the outback desert. Begin your day with the special opportunity to witness Uluru at sunrise. See the magnificent show of colour as the sun’s rays strike the mighty monolith. Then on a tour of the base of Uluru, view ancient cave paintings and learn about Aboriginal legends and history. You’ll also have the chance to visit the Maruku Arts and Craft Cooperative to see Aboriginal artists at work. End the day with a short flight to Cairns. 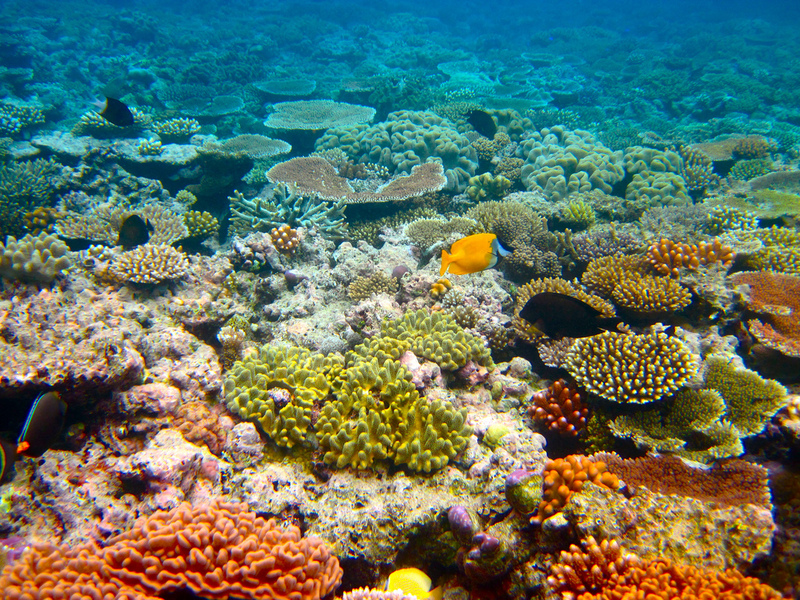 Immerse yourself in the beauty of the Great Barrier Reef on a day-long excursion. The Great Barrier Reef is the world’s largest coral reef, encompassing 900 islands and stretching more than 2,300 kilometres. Admire the coral and the incredible underwater wildlife from the comfort of a glass-bottomed boat or up close with the snorkeling equipment and lessons provided. Enjoy a leisure day to explore Cairns. Or take an optional day trip to Kuranda, a picturesque mountain village in the rainforest. Browse Kuranda’s quaint village shops, admire the views as you sit outside a café, or go on a rainforest walk. Fly to Sydney, Australia’s most populous city. Embark on a tour of Sydney and see the famous beaches that surround the city, the varied architecture from the traditional Victorian town hall to modern developments, the Botanic Garden, and more. Begin the day with a walking tour of the historical area of Sydney known as the Rocks, a district full of vibrant cafes, restaurants, shops, and stalls that still preserve Old World charm with cobblestone lanes and beautifully restored historic buildings. Then take a luncheon cruise through Sydney’s spectacular harbour, followed by a guided tour of the famous Sydney Opera House. At Featherdale Wildlife Park, see the incredible diversity of Australian wildlife. Then discover the remarkable beauty of the Blue Mountains National Park. Enjoy lunch at the Skyway Brasserie and then ride on the Scenic Railway or the Sceniscender cable car down into the rainforest. Enjoy a walk in the forest and views of the beautiful Three Sisters. On your way back to the city, see the Sydney Olympic Park with its Stadium Australian, the most advanced sporting stadium in the world. Bid farewell to Sydney as you fly home or board a cruise ship bound for New Zealand.